Frame constructions have been rigorously tested to simulate the home and transportation environments for improved durability. Corners are glued, blocked and stapled. Stripes and patterns are match cut. All fabrics are pre-approved for wearability and durability against AHFA standards. Cushions are constructed of low melt fiber wrapped over foam. 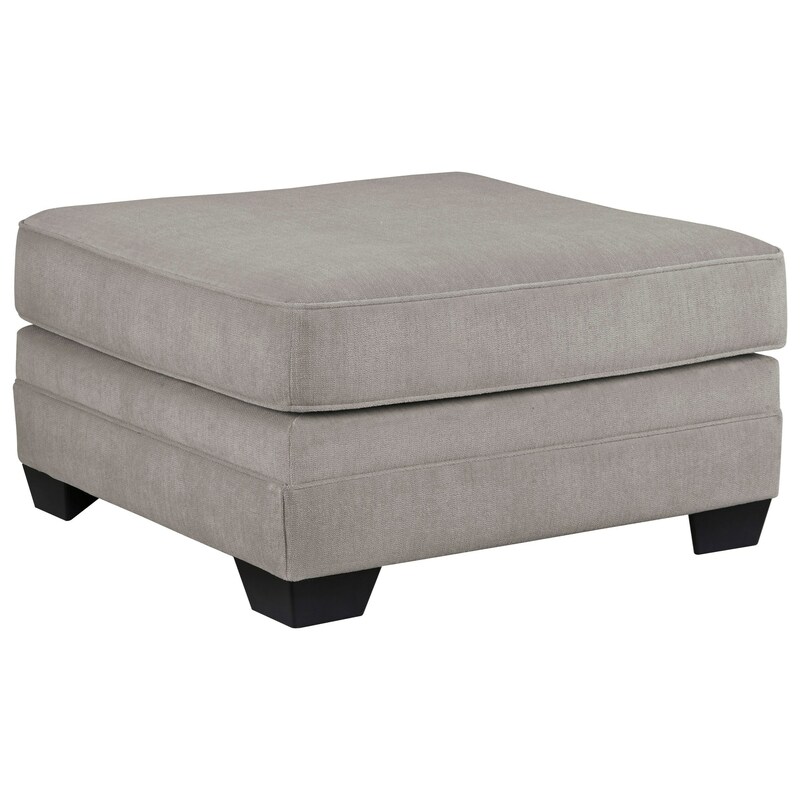 The Palempor Oversized Accent Ottoman by Benchcraft at Virginia Furniture Market in the Rocky Mount, Roanoke, Lynchburg, Christiansburg, Blacksburg, Virginia area. Product availability may vary. Contact us for the most current availability on this product.